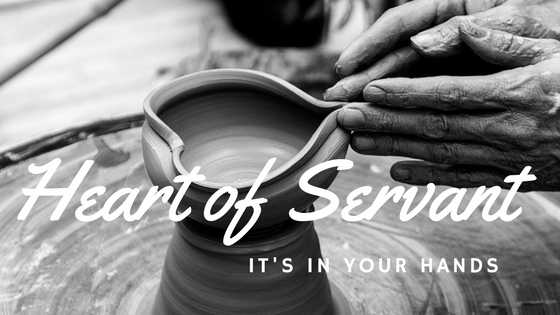 To be a servant literally means “to tie or to bind.” Jesus taught and demonstrated a life of absolute service, to His Father, to His disciples and to the world. No other person in history has given Himself as wholly to serve as Jesus did. The privilege to serve is in our hands and in our hearts. Carrying the cheese may seem like the most insignificant of tasks, yet it was the first step from shepherd boy to king. Great promotions are often wrapped in small acts of kindness and service. The easiest One of all to serve is, of course, Jesus. He has given so much for us, loves us beyond comparison, and paved a wide road of selfless servitude. and where I am, my servant also will be. Jesus disciples lived in a culture much like ours with people striving for bragging rights to top-dog positions. These chosen men quarreled over who was the greatest and best. Flaunting and lording remains common place; however, it has no place in God’s kingdom! “But among you it will be different. Daily we have opportunity to either puff ourselves up or propel others to reach their full potential. It is no surprise that God blesses and promotes those who serve and honour others above themselves. Throughout the world, most cultures demonstrate a healthy expectation to serve those in higher position. It is quite easy to serve within our peer groups. It remains beyond our understanding to comprehend Jesus, the King of Glory, willingly serving downward. Remember, the meaning of servant is “to tie or to bind.” The towel wrapped around the center of Jesus’ body was a perfect symbol of servanthood. He bound Himself to serve. It was such a profound illustration that the disciples were shocked by His move. To follow Christ’s example we must know who we are, Who we belong to, and why we are here. Unless we are secure in our identity in Christ, we will have limited capacity to serve with wholehearted devotion. Am I prepared to pick up the servant’s towel and wash the feet of all those around me? My honest answer is not entirely! Yet, the challenge is before me! Through Christ our only right is to humbly serve! We may have good intentions with hearts rightly positioned and yet still get tripped up in the follow-through. It is our feet that need cleaning – these feet that embrace the ground, the dust of humanity, taking the most abuse and getting the dirtiest. As Christians, Christ has already purified our hearts and cleansed our minds. Still, we need foot-washing reminders of our purpose in serving others. Jesus actions prepared the disciples for servant leadership. Each of them would eventually lay down their lives in service for others. All, that is, except one! Jesus washed the feet of Judas, who would soon betray Him to the cruelest of deaths. What an expression of ultimate servanthood! Last fall I was privileged to attend a Women on the Frontlines Conference in Winnipeg. On opening night, a group of prominent male leaders, apologized for not being willing servants to women in their churches, communities and homes. They acknowledged the glass-ceilings they had perpetuated over women. The sounds of gentle weeping crescendoed around me. Many women had never experienced such a gesture of respect and honour, even though the majority were recognized leaders in their churches and communities, sacrificially serving in various capacities. For the remainder of the weekend, these men served consistently, joyfully and lavishly. Their acts of service washed deep wounds and lifted invisible burdens from many women present. No towels wrapped the waists of these men, yet they displayed how people of strength open doors of opportunity, minister healing, and restore dignity through humble service. Participants were impacted by this “upper room” experience. They were inspired to greater acts of service as they returned to cities and towns from Ontario to Alberta. Why? Because a handful of men showed the way! Creating a Culture of Honour – Honour God – Honour All!